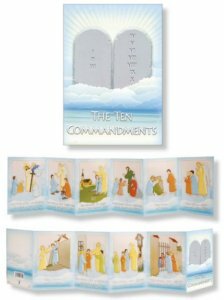 DIVINE CHRISTIAN GIFTS - Laminated Booklet of the The Ten Commandments. Laminated Booklet of the The Ten Commandments. Booklet dimensions open : 4" x 17", closed : 4" x 3"